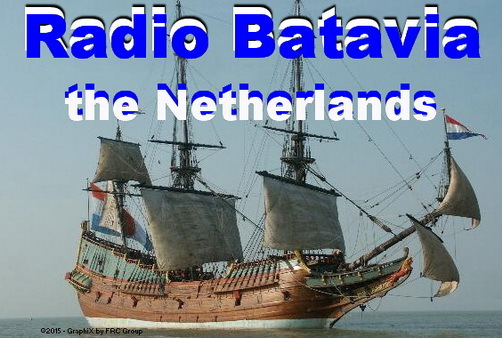 When you listen to Dutch pirates on the MW band you will almost certainly be used to signals that are far from perfect. There will be fading, there will be static crashes, interference from other stations. Of course, that's not a problem to us AM enthusiasts as it all adds to the experience of tuning the bands. However, that doesn't mean to say it's not a pleasure when a signal is perfect. 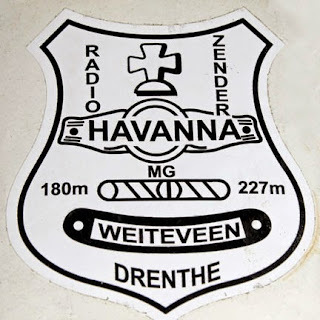 And signals don't come much better than the one on this recording of Radio Havanna from Christmas Eve. Sure, it was made in his area, but it's quite an eye-opener when you hear how good the quality is. In fact, you could almost be forgiven for thinking you're tuned in to an FM station. If you've got a spare hour, click on the link and listen to the show in full. It's great to hear a station in near perfect quality - record scratches as well! Last year I paid a visit to the studio of Havanna, so to hear this recording brought back some good memories of what I saw. I can clearly see the voice behind the microphone and imagine his taking another 45 from its sleeve . . . I love Christmas, but . 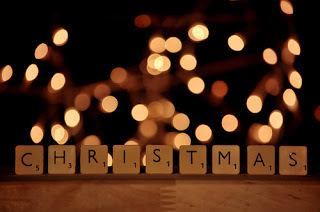 . .
Christmas is one of my favourite times of year. The colours, the sights, the sounds and the smells. I can't get enough of it. And I must admit to a sense of dread when the tree finally comes down as ours has done this evening. The front room seems huge - and empty. That feeling will pass though as the days tick by and we look forward to the next significant event in the calendar. There is one thing I'm happy about now Christmas is over, though. Several of our neighbours had flashing lights around their windows. They looked attractive, but my outdoor loop antenna liked them a little too much and was receiving noise from their power supplies. 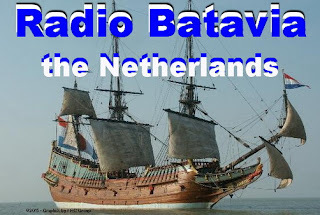 I was counting down the minutes until they were switched off each evening and my reception of the Dutch pirates became much clearer once again without a constant rumble in the background. All the decorations in the neighbourhood are now down and reception on MW is free from additional noise. Now there are just the atmospheric conditions to deal with! The band was pretty busy at around that time - perhaps pirates were warming themselves up from the freezing outside temperatures with the glow of their transmitter valves! 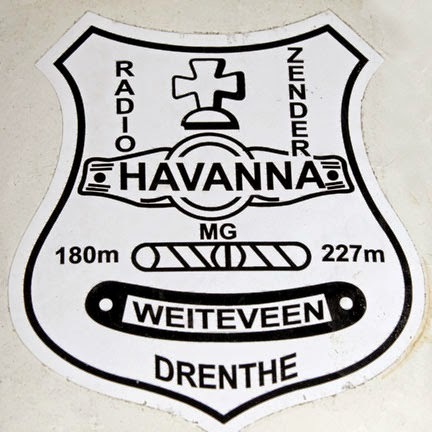 At the end of November the pirate radio scene lost a veteran broadcaster when the operator of Radio Neurenberg passed away at the age of 83. He also used the name Flitsspuit on air and came from a family of pirates. 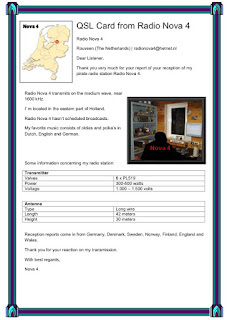 He could often be heard qsoing with other stations in his area, and these recordings were made locally on one of those occasions.